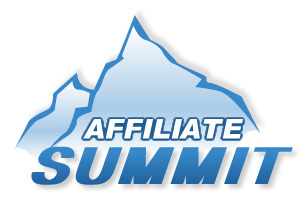 My colleague, Robert Reynard, and I just returned from Affiliate Summit. Special thanks to Shawn Collins and Missy Ward for having us. This is not the first time I have been, but nonetheless it impresses me to see the number of people who have an interest in this space. One of the most interesting topics this year was around government actions which are threatening many who have profited from this space for many years. The Federal Trade Commission (FTC) is cracking down on Internet sites that profit from promoting other’s products or services without disclosing within that promotion that they received some sort of compensation from the company. Let’s say a stay-at-home mom begins a blog to help other stay-at-home moms. A diaper manufacturer sees that blog and decides to send her a box of diapers with the hope that she would try them on her children and then blog about how well they performed. That mom must disclose that this was a gift from the manufacturer and she must disclose that this blog post is partial to them for that reason, even if she would have blogged about “the diapers making it through the night without leaking” anyway and was in no way influenced by the fact that the diapers were a gift. In other words, even mommy bloggers could be held liable for product reviews. This may be an extreme example, but thanks to some who may have been taking advantage of consumers through use of exaggerated claims and fake reviews and testimonials, it has become a necessary part of affiliate marketing. Another hot topic surrounding this event was affiliate frustration with the Google Adwords program. Over the last year, many affiliates who used Google Adwords to advertise their site(s) were notified that they were no longer welcome to use the Google advertising platform. OK, so “notified” may be a bit of a stretch, typically the way they found this out was without any sort of notification at all but rather by noticing that sales are lower or perhaps non-existent and logging into their Adwords account to troubleshoot. After looking around for a bit, they probably found that everything seemed to be in order. On the surface at least. They then may have scrolled over a status column which, when hovered over, opens a small box showing a users Quality Score. To the affiliate’s surprise, the Quality Score ranking that once read 7/10, 8/10 or even 10/10 now says 1/10. A 1/10 Quality Score ranking in Google Adwords is about as effective at removing advertisements as deleting the campaign altogether. Worse yet, starting over with a new campaign will not help. An advertiser’s Quality Score remains with their domain. Can you imagine being in business one day and out the next? That is what is happening to some of these affiliates. So why would Google do this? After all, affiliates are paying them, right? Well, Google, like the FTC, is probably reacting to the bad apples. Google is fanatical about protecting its customers (i.e. search users) and if it takes hurting some legitimate affiliate’s business to protect customers from the bad apples, it looks like Google is okay with this concession. It will be interesting to see how both of these situations play out over this year. I counted 46 businesses from the advertising and marketing industry that made last year’s Inc 500 list of the fastest-growing companies, private companies. Many of these businesses have deep roots in the affiliate marketing business. Their growth rates have skyrocketed on the backs of affiliates using Google Adwords to advertise, and in some instances have grown off of sites that now must alter their pages to abide by the new FTC guidelines. Will these companies be able to adjust their business models and continue these impressive growth rates in the face of these new obstacles? Share your thoughts in the comments section of this post or start a conversation with your peers in the MarketingExperiments Optimization group. Email Marketing: What’s the biggest buzz at MarketingSherpa Em@il Summit ’10? Test Your Marketing Intuition: Which sweepstakes incentive drove the most leads? It’s not about Google wanting to ban “scammy” offers. Affiliates were running fake news articles of fake Google bizopps for months. It would have been so easy for AdWords to just block all landing pages that contained the trademark, “Google.” It’s about Google becoming the ONLY middleman in online advertising–that’s all. It’s about Google becoming the ONLY middleman in online advertising–that’s all. For those of you unaware Google now owns its own Affiliate network http://www.google.com/ads/affiliatenetwork/. Some of those “news articles” were actually quite convincing as well. I think it is good to bring them all down a notch because they were quite deceiving. Thanks for the post. Affiliate marketers need to know about Google Adwords. What about blog articles that mention a book and provide a link to Amazon – an affiliate link. Must the blogger disclose that they will receive a commission if the user purchases the book? Was there any discussion on this topic? Is it an issue? Nice post. Thanks for showing us. Absolutely appreciate it.